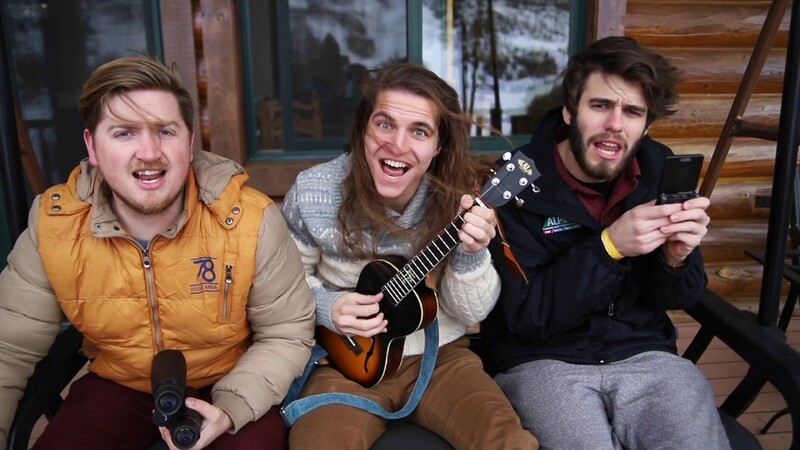 "Melting Hearts for any Occasion"
A 3-part harmonizing ukulele-focused trio based in Provo, Utah. 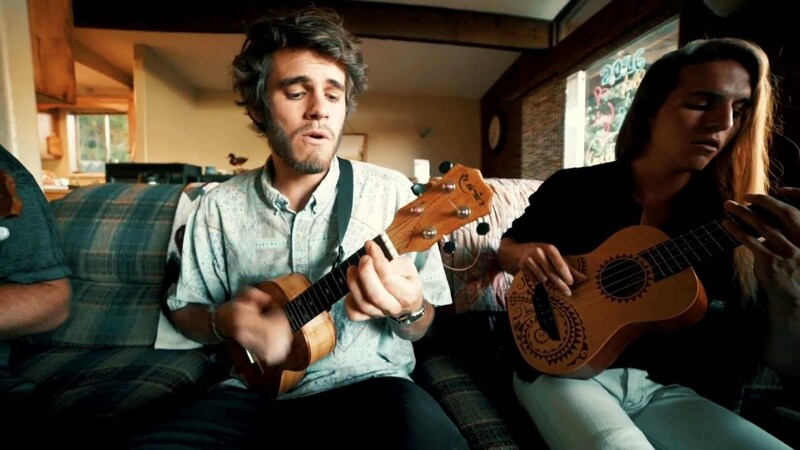 We are characterized by impressive ukulele/guitar playing, nice hair and handsome harmonies that set the mood for any event. We have experience performing at resorts, weddings, music festivals, parties, restaurants, etc. We have a following around Utah as well as online, and have also headlined our own concerts at venues such as Velour in Provo. This year we will be performing and giving workshops at various ukulele festivals, including some in Canada and Scotland! We are suitable for just about any event, and are very easy to work with. Will travel anywhere if expenses are covered. 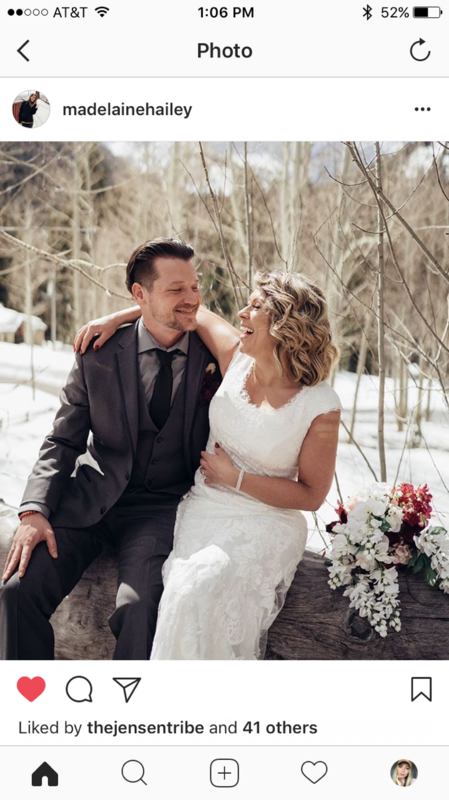 Thank you for being a part of our wedding! The Naked Waiters did a phenomenal job performing at our wedding. They were loved by all our guests, and the variety of music eras in their set list kept everyone engaged. They sounded great and looked great. Would highly recommend for any event looking for a chill acoustic vibe! I don’t know how I stumbled across this band, but I am so happy that I did! They played at our wedding reception and they were AMAZING. I had people complimenting on them all night. Plus, they are super easy to work with. Great experience! Thank you! We had a fantastic time! Incredible Band!! The Whole Package! They are incredibly easy to work with and as performers they have great stage presence. Their musicianship is top notch and their vocal harmonies are magical. In addition to having the ability to be “front and center” as performers, they also have the ability to play behind conversation at an event. I will be hiring them again for an event next year! I cannot say how pleased we were with the naked waiters. They just made the evening perfect. I’d hire them again in a heartbeat! We had a great time! Everything was smooth and set up for success. The crowd danced along and was among the best we've had at a wedding event. 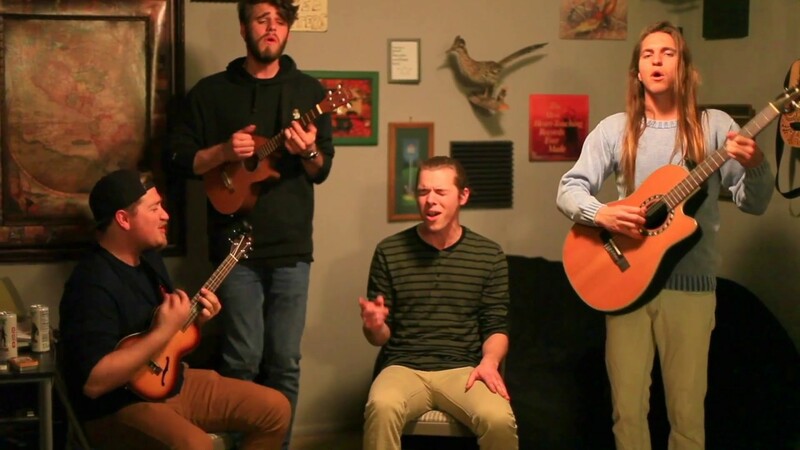 I went to YouTube and listened to their music prior to booking this band for my wedding. I hired them right away because my husband and I enjoy acoustic/ukulele music. This band set the mood for my wedding at Silverfork Lodge in Brighton Utah. They offered to play any song for my ceremony with time to learn/practice and they did. My wedding was magical, without this group the mood would not have been as happy and bright. We enjoyed their spirit and charm so much. Everyone complimented the band, we were amazed by their energy and talent. These guys are simply awesome. Don't let their name scare you - The Naked Waiters come fully clothed. This acoustic trio put on a fun and engaging performance of high musical quality that left our large audience wanting more. 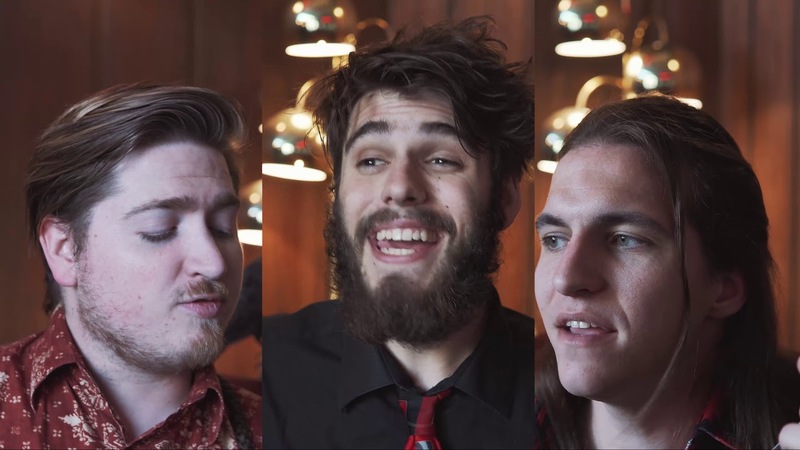 Their three-part harmonies are especially impressive. I highly recommend booking this talented group. They're also pleasant and flexible to work with. Easily 5 out of 5! We hired the Naked Waiters a week before an intimate outdoor ceremony. They were so great to work with! Quick at responding, flexible, and professional! They were the first to arrive at the wedding site and were so helpful! The best part? Their music!! Their voices were amazing. I could listen to them everyday! It was my favorite part of the simple and perfect wedding! Thanks Naked Waiters! The naked waiters were one of the best parts of our wedding. They are so talented and their music takes you away. They were so easy to work with and very professional. Their sound and set were so unique. 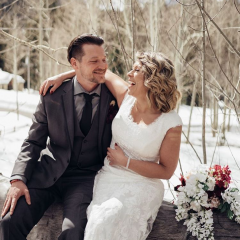 We still have our guests saying how much they added to our wedding and how talented they are. Everyone wanted to stay and dance the night away with them! I cannot say enough how wonderful they were and I would recommend them to anyone looking for THE PERFECT wedding band. They made our wedding pure bliss!!! Oh man, these guys are the absolute best! I hired them to play at my wedding and they were helpful, professional, laid back, and fun. Their music was great! Perfect for a wedding. I think everyone enjoyed it because their beautiful harmonies and acustic sound created the perfect atmosphere. They weren't overpowering in my indoor reception but they still were fun enough to get people up and dancing. Seriously, they took my reception to the next level and it was a for a very reasonable price. I would HIGHLY recommend the Naked Waiters for your next classy event. Such a rad and perfect band. They are the perfect duo. We loved having the Naked Waiters play at our wedding reception. They brought such a good mood to the place and were so easy to work with. They were willing to learn a couple of songs for us, and did a very excellent job! They have an awesome playlist and we loved being able to trust them to play whatever they wanted. AWESOME GUYS. Relaxing, pleasant, feel-good songs specializing in harmonies. Includes slower romantic songs, as well as more upbeat songs for light dancing. Appropriate for almost any occasion. 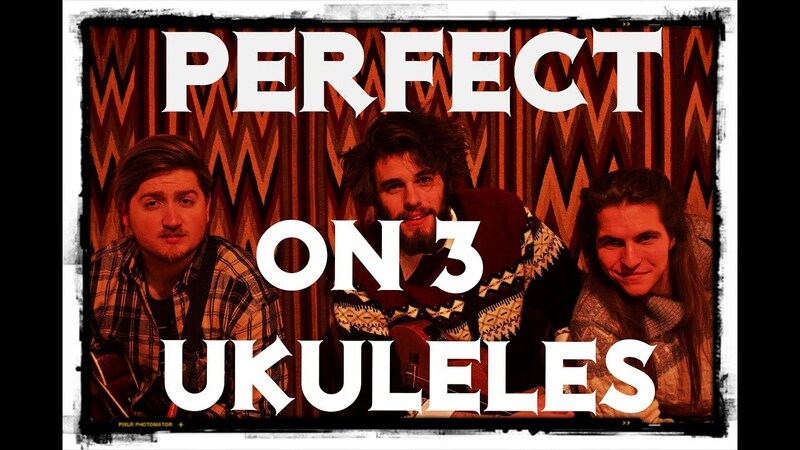 This ukulele trio consists of Andy Nufer, Kim Bjerga and Clark Holmes. These three friends inadvertantly became a band a couple summers ago when their friend asked them to be his waiters and serve him and his date dinner in their backyard just wearing speedos. The three goofballs took it one step further and just wore aprons and bowties...At the end of the meal they decided it would be cute to sing the couple some love songs, so they grabbed some instruments and jammed to few sweet tunes! Unexpectedly, word got out and other people started booking the trio for all their different events! PA with 1-2 speakers, 3 mics/mic stands, and direct inputs for our 3-4 instruments. If any of that is provided, all the better, otherwise we can bring our own sound system (may add fee). If event is intimate enough, set can be unplugged.